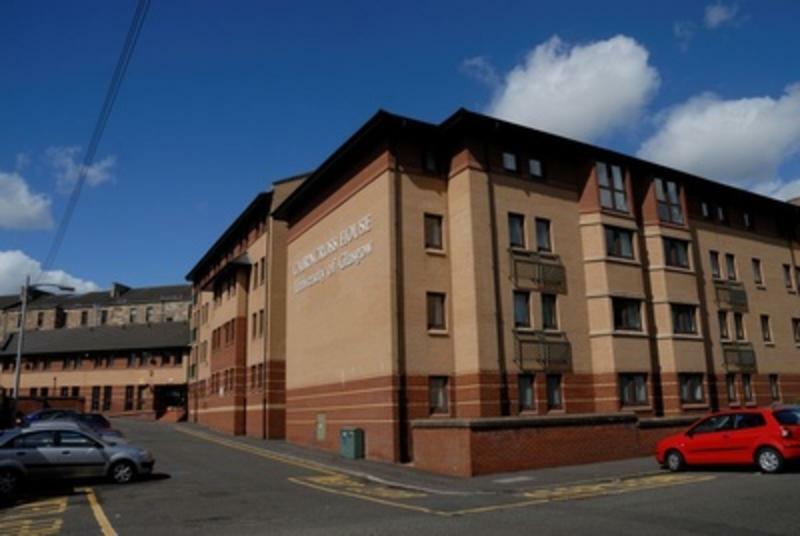 Ideally situated for Glasgow city centre, the West End and the SECC, Cairncross House is a comfortable and affordable option for those looking to visit the city. Surrounded by many local bars, cafes and restaurants, Cairncross House provides an excellent base for exploring Glasgow. Each room is comfortably furnished and has its own wash-hand basin. Guests have access to shared bathroom and kitchen facilities. The shared kitchens are well stocked and include all cooking implements, crockery and cutlery. All linen and towels are provided and guests have access to laundry facilities. In addition, all bedrooms have telephone access (phone cards available from Reception) and Free Wi is also available in all bedrooms and communal areas. 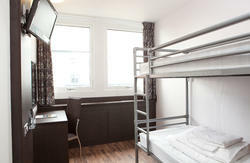 On-site facilities include a TV/games room and free off-street parking. Check in time is 2.00pm on day of arrival. Check out time is 10.00am on day of departure. Located in the West End of the city near Argyll Street . Approx 8 - 10 miles from Glasgow International Airport. Superb local travel links (train, bus and underground) into city centre. Exit at Junction 18(Charing Cross), keep in the right hand lane and merge on to Newton Street A804 (signposted Anderson and Charing Cross). At the third set of traffic signals turn right onto St Vincent Street (signposted Kelvingrove Art Gallery and Museum), continue forward onto Argyle Street, turn left onto Kelvinhaugh Street, turn right onto Kelvinhaugh Place. Exit at Junction 19 (City Centre), keep in left hand lane and at traffic lights turn left into Pitt St. At next traffic signals, turn left onto St Vincent Street (signposted Kelvingrove Art Gallery and Museum), continue forward onto Argyle Street, turn left onto Kelvinhaugh Street, turn right onto Kelvinhaugh Place. An airport bus service (no.747) runs approximately every 30 minutes to Sauchiehall Street, just 5 mins walk away from Cairncross House - look out for Konakis' restaurant - the bus stop is just outside. From there, cross the road down onto Derby St and at the bottom, turn right onto Argyle Street. Cross at the traffic lights nearby, then turn right into Kelvinhaugh Street and right again to see Cairncross House. (The 747 service runs from 0700 to 2230 hours, Monday to Friday, from 0900 to 2230 hours on Saturdays and from 1000 to 2230 hours on Sundays. Alternatively, you could take a taxi from airport directly to accommodation (approx. 15.00 - 20.00). Prestwick Airport is a 45 minute train journey from the city centre. Trains run approximately every 30mins from the Airport to Glasgow Central Station in the city centre. For more information on train times and prices telephone 08457 484950. Buchanan Bus Station is situated in the city centre. Exit the Bus Station and turn right onto Kilermont Street. Cross at the traffic lights and continue walking to Hope Street. At Hope Street take Bus No: 9 or 62 to Argyle Street. Leave the Bus on Argyle Street (first stop after Blythewood Motors). Walk back Along Argyle Street and take first right into Kelvinhaugh Street, then first right into Kelvinhaugh Place and Cairncross House. A taxi from Buchanan Street to Cairncross will cost approximately 5 - 7. Take a low level train to SECC. From SECC Station walk past Peugeot Garage; take the first left onto St Vincent Crescent, take the first right on to Corruna Street. At the top of the street turn left (at Ben Nevis Pub) onto Argyle Street. Take the first left onto Kelvinhaugh Street, then first right into Kelvinhaugh Place and Cairncross House. Alternatively you can get a taxi, which will cost approximately 5 - 7. Exit the Station onto George Street and follow the signs to Central Station. From Central Station take a lower level train to SSEC. From SECC Station walk past Peugeot Garage, take the first left onto St Vincent Crescent. Take the first right on to Corruna Street. At the top of the street turn left (at Ben Nevis Pub) onto Argyle Street. 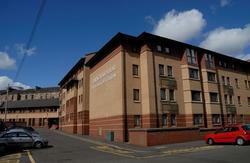 Take the first left onto Kelvinhaugh Street, then first right into Kelvinhaugh Place and Cairncross House.